Summer offers children a well-received break from structured learning. A Summer Camp provides children with the opportunity to build their character, confidence, and other interpersonal skills while indulging in fun and entertaining activities. Camp doesn’t just apply to school-aged children! The benefits of summer camp for preschoolers include school preparedness and independence. 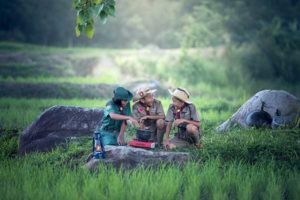 Children adapt quickly to their camp communities and flourish under the positive pressure of group activities, free play, and community events. In a safe environment, free from parental interference, children make their own decisions and fulfill their duties as a member of a working group. While traditional schools reward growth in reading, writing, and arithmetic, soft skills, such as social etiquette, communication, and cooperation often fall by the wayside. At camp, daily challenges and group activities can help stimulate personal growth by pushing children to new boundaries. From first-day introductions to end-of-summer farewells, children get countless real-life opportunities to practice their interpersonal skills. Summer camp is a safe, supervised environment filled with freedom and opportunity. For parents who have their own camp memories, it is an investment that goes without question. For children looking to flex their wings, it is the opportunity of a lifetime that only comes around once a year! 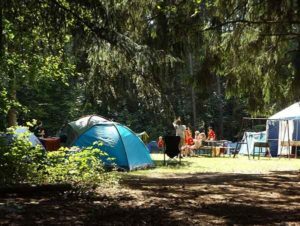 Fresh Air: At home, the lure of video games and air conditioning can sometimes be overwhelming, but at summer camp there are plenty of outdoor activities to keep children active outside. According to Psychology Today, a survey given to 300 summer camp directors revealed that summer camp makes children more resilient to life’s stress. There are many social and emotional benefits that can be attributed to a positive summer camp experience. Without parental interference, children discover their own voice and how to independently navigate social situations. Moreover, campers often assume greater responsibilities than they would at home. A recent study by the University of New Hampshire confirmed that outdoor education helped children develop positive qualities and capabilities. With today’s children spending more time than ever on screens, embarking on an outdoor adventure can be a pivotal opportunity. According to the Campaign for a Commercial-Free Childhood, children between the ages of two and five spend an average of 2.2 hours on screens every day! While it is difficult to measure a child’s emotional growth, the nation’s continued demand for summer camp speaks for itself. With over 14 billion people enrolled in summer camp programs each year, there is something wonderful to be said about this seasonal tradition. Contact us at Young Scholars Academy for more information on our exploratory summer camp program. Young Scholars Academy is an award winning Colorado Springs preschool which also offers a specialized camp experience for 4-year-olds. Give them a call today to hear more about the benefits of summer camp for preschoolers! I like how you said that summer camps allow kids to learn how to make decisions and work in a group. I would imagine that a toddler summer camp would be a little different, but still allow them to grow as an individual. That would be really good though because it would probably help them grow at an accelerated rate.